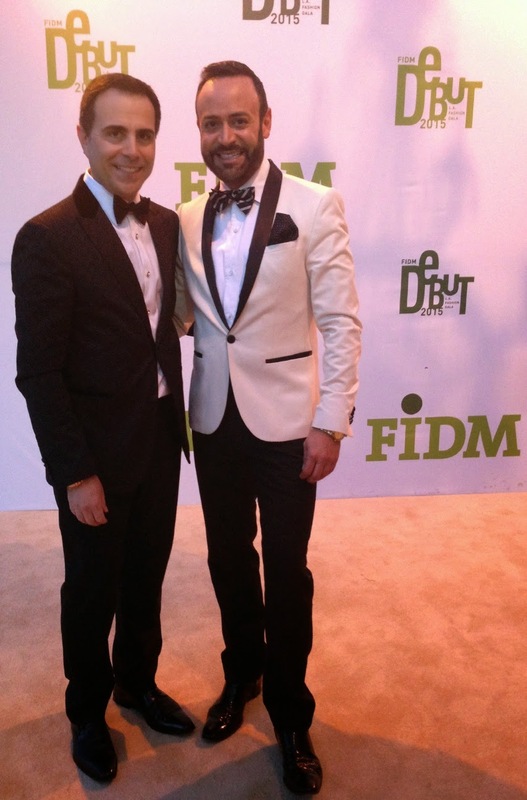 To finish my FIDM DEBUT 2015 blog recaps, it's time for last Saturday night's fabulous FIDM DEBUT 2015 Los Angeles Fashion Gala, a black tie fundraiser befitting the FIDM Scholarship Foundation. Both myself and my better half--David Paul--were invited to attend this wonderful runway show. 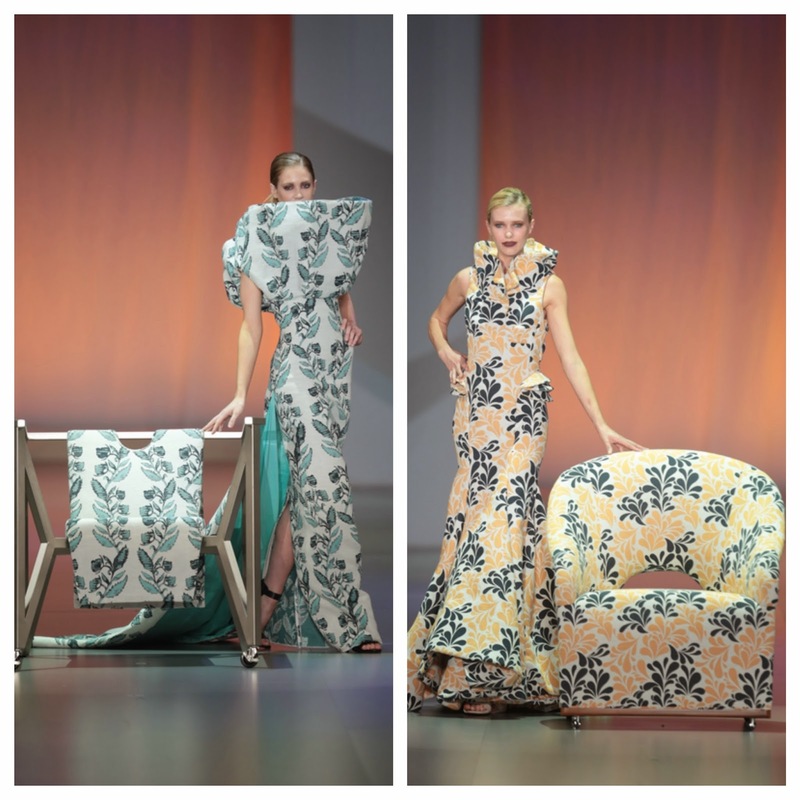 The FIDM DEBUT Runway Show showcases designs by graduating students in the Fashion Institute of Design & Merchandising/FIDM's Fashion Design and Theatre Costume Design Advanced Study Programs as well as work from Interior Design and Textile Design Students. 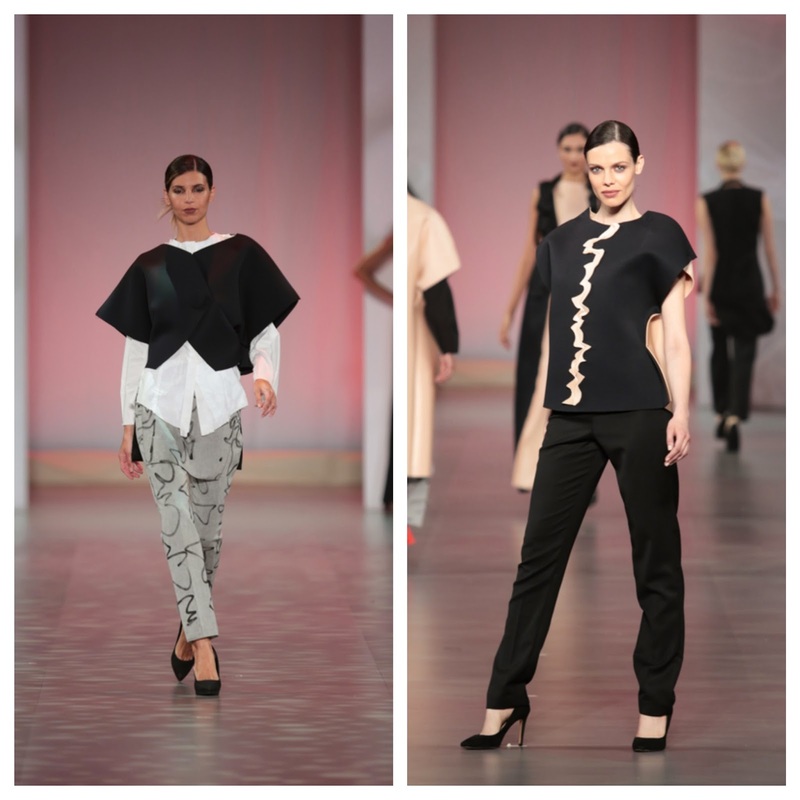 The show is the culmination of over 50 weeks of mentorship and thousands of studio hours featuring the "creme de la creme" of FIDM. Cuff Link Chic: I decided to wear these cuff links that my mom sent me that were a gift to my dad (from her) when they lived in Caracas Venezuela while my dad was a U.S. Diplomat residing in Venezuela. 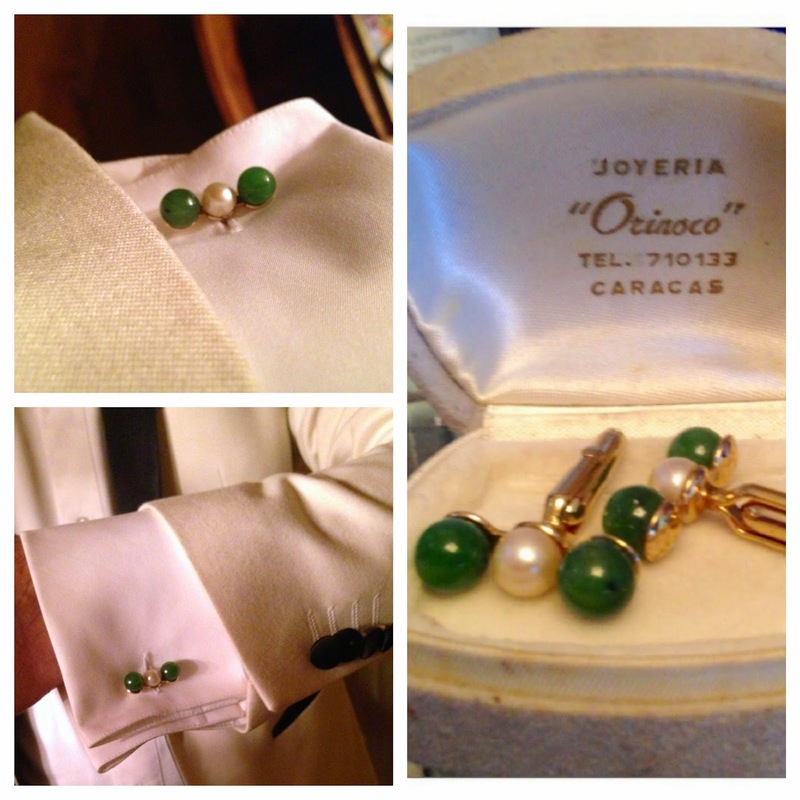 The cuff links are jade and pearl and are from the Orinoco Joyeria (Jeweler) in Caracas and from the late 60's. 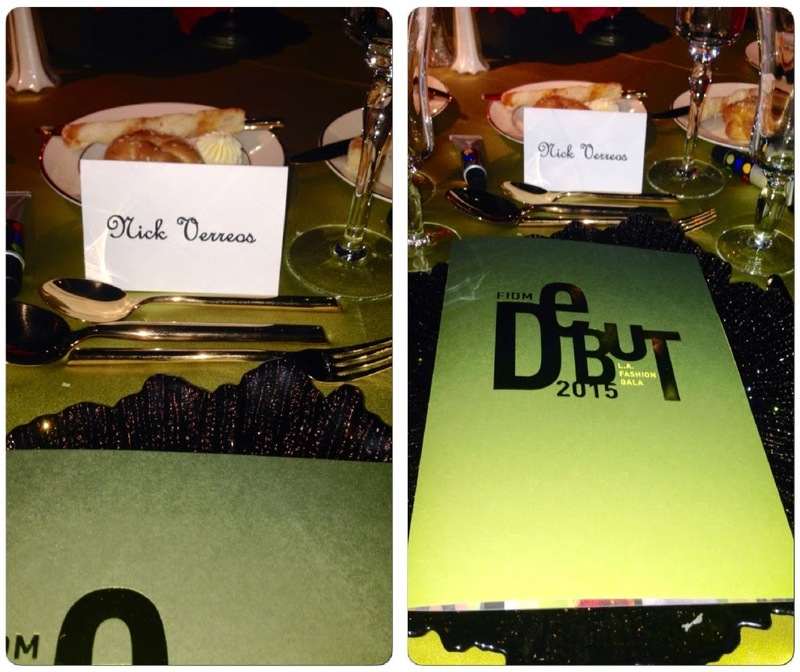 Fancy Place Setting: For the FIDM DEBUT 2015 L.A. Fashion Gala, Barker Hangar is transformed into more "ballroom"-like setting, with tables and gilded chairs more fit for the black tie-and-cocktail dressed guests. The tables surround the super-long runway stage. There is a delicious dinner served prior to the FIDM DEBUT Runway Show followed by dessert and coffee. Nick Verreos and FIDM Fashion Design Program Director Mary Stephens: Before the FIDM runway Show--and while guests are having their dinner--I had the honor--along with FIDM Fashion Design Program Director Mary Stephens--of presenting the FIDM Scholarships to next year's group of DEBUT graduates. Mary Stephens guided and mentored me back when I was a FIDM DEBUT student so like I said, it's always an honor to be invited by her to co-present these important scholarships. NIKOLAKI Trophy Gals: When handing out the FIDM DEBUT Scholarships, Mary and I had our very own "Trophy Models" a la The Academy Awards. These models all wore gowns from my NIKOLAKI line--Photo above: Nick Verreos th models Thais, Lisa and Katrina in NIKOLAKI gowns (L to R: rhasberry colored silk satin organza one shoulder ball gown; teal green silk duchesse satin gown with jeweled trim; grape colored silk chiffon beaded column gown). 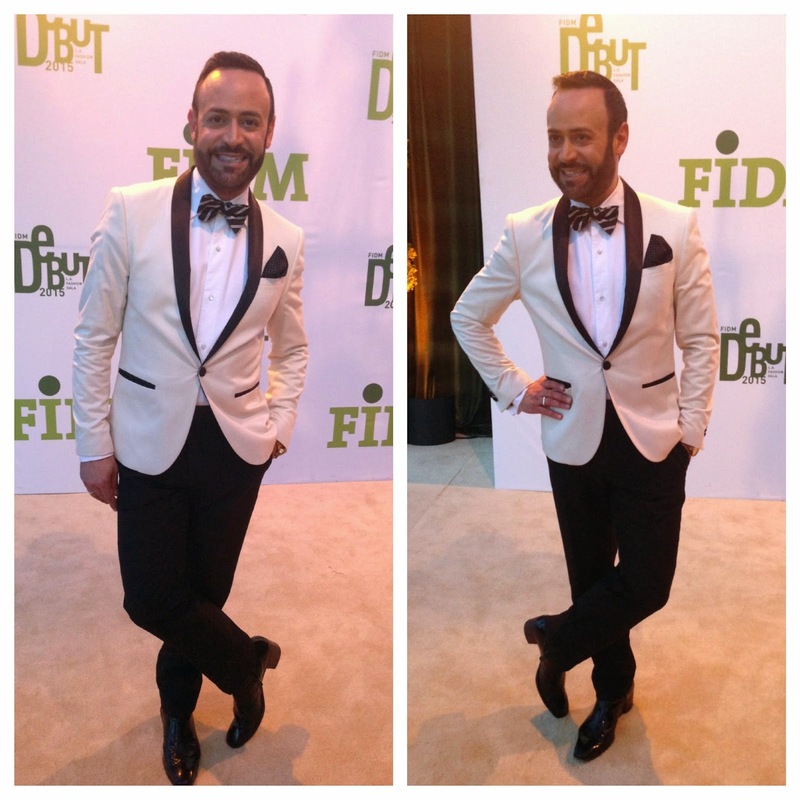 0 Response to "FIDM.....FIDM DEBUT 2015 Los Angeles Fashion Black Tie Gala"